Fun Fact: I am native to Michigan and spent years running competitively. 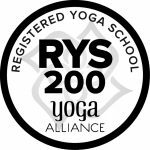 Kimberly Litchfield is a 200-hour RYT yoga teacher based in Raleigh, NC. Her teaching studies began in 2011 in Chicago, IL. She is currently studying under Tiffany Cruikshank for her 500-hour advanced yoga training in Yoga Medicine. Kimberly believes yoga is a powerful vehicle for the transformation of mind and body. Her passion for learning has led her to an intense study in anatomy and yoga therapeutics. Her classes are playful and creative, and can be described as challenging but intelligent. When she’s not working hard on her own practice, Kimberly likes to practice meditation and spend time outdoors with her dog Leopold. 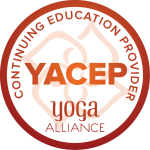 Each week, Kimberly can be found teaching a broad range of classes at Indigo Hot Yoga center, giving private lessons, and leading workshops.